A liquid pro-biotic for all your soil and plants. 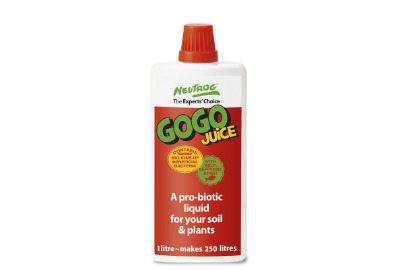 GoGo Juice adds beneficial microbes to your soil to help break down organic matter and make nutrient available to the plants. Healthy soil means healthy plants. 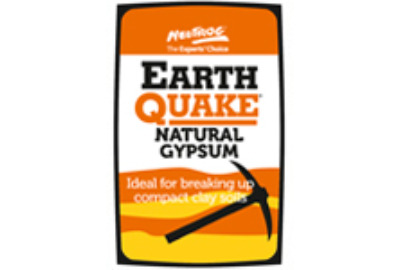 Neutrog Earthquake Gypsum can be used as a clay breaker to improve the structure ofhard clay soil. 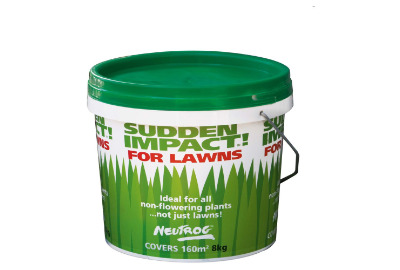 Opens hard, compact soil and clay into workable soil. 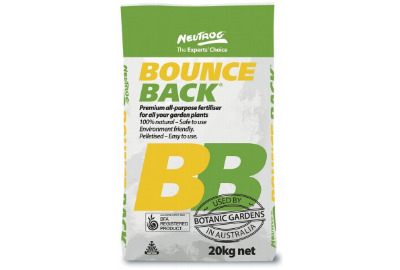 Bounce Back is a unique blend of the highest quality organic fertiliser and natural minerals, specifically formulated for the most effective and safe feeding of all your garden plants. Bounce Back promotes natural, healthy plant growth. Essential plant nutrients are released slowly into the soil, stimulating microbiological activity, making further nutrients available to the plants. Bounce Back also helps the development of healthy, well structured soils. It promotes microbial and earthworm activity which bind soil particles together to improve soil structure and tilth. Better soil structure allows roots to grow unrestricted in a nutrient rich environment. 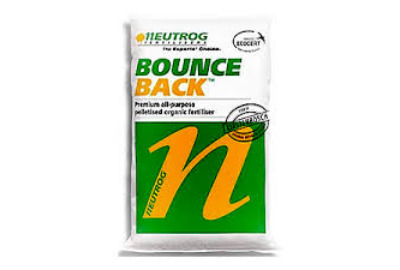 Bounce Back is manufactured from manure - one of nature's oldest and most natural fertilisers. This product is composted and steam treated to ensure it is pathogen and weed free. It is then pelletised for easier and cleaner handling. Naturally boosted, all-purpose, organic fertiliser for all your garden plants. Concentrated for faster, better results. Slow release Rapid Raiser is a unique blend of organic materials specially formulated for all your fertilizing needs. 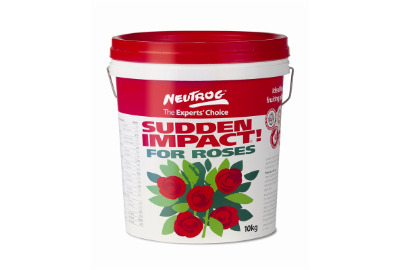 A highly concentrated, natural product, Rapid Raiser promotes faster, healthier, sustained growth for all plants - particularly suitable for heavy feeding plants such as roses. Rapid Raiser encourages the development of earthworm and microbial activity leading to healthy, well structured soils. 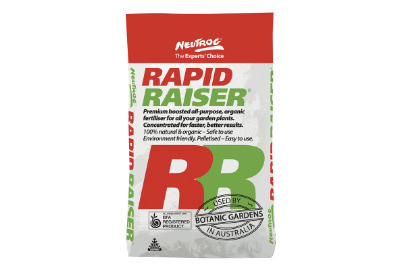 Rapid Raiser is composted and steam treated to ensure the product is pathogen and weed free. Rapid Raiser is then pelletised for easier and cleaner handling. Bounce Back promotes natural, healthy plant growth. Essential plant nutrients are released slowly into the soil, stimulating microbiological activity, making further nutrients available to the plants. Bounce Back also helps the development of healthy, well structured soils. It promotes microbial and earthworm activity which bind soil particles together to improve soil structure and tilth. Better soil structure allows roots to grow unrestricted in a nutrient rich environment. Premium 100% slow release organic lawn fertiliser ideal for all lawns. 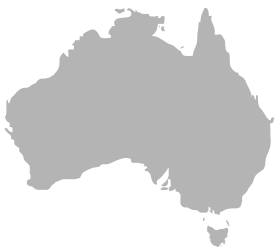 Being 100% natural it is environmentally friendly and safe and easy to use. 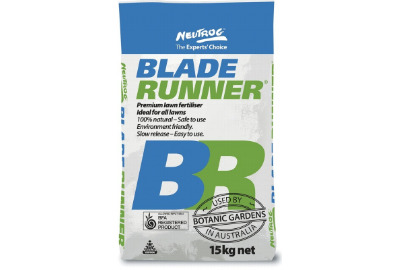 Blade Runner is in crumble form, making it ideal for applying to established turf areas. The crumble is fine enough to be washed into the rootzone with a normal watering event, thus preventing being picked up when mowing the turf. Contains the full range of micronutrients in a natural form along with boosted levels of iron and magnesium.